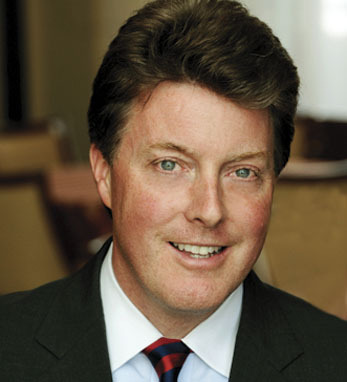 Brian Ruane became CEO of BNY Mellon Alternative Investment Services in 2009. He was formerly head of Global Client Management North America, and before that was global head of Financial Institutions. Brian is a member of The Board of Directors and Risk Committee of Pershing LLC, the Global Operating Committee of BNY Mellon, and BNY Mellon’s Sovereign Wealth Advisory Committee. In 2003, he was co-opted onto The Federal Reserve Bank of NY’s Working Committee on The Future of The U.S. Government Securities Markets. He is a member of The Advisory Board of The UCD Michael Smurfit Graduate School of Business in Dublin and The Frank G. Zarb School of Business. Brian graduated from The Chartered Association of Certified Accountants and earned his MBA in international banking and finance from The Zarb School of Business. Brian’s father is from Crossmolina, Co. Mayo and his mother from Drumhaldry, Co. Longford. Brian and his wife Anna Lynch, who is from Dublin, live in New York with their four children.